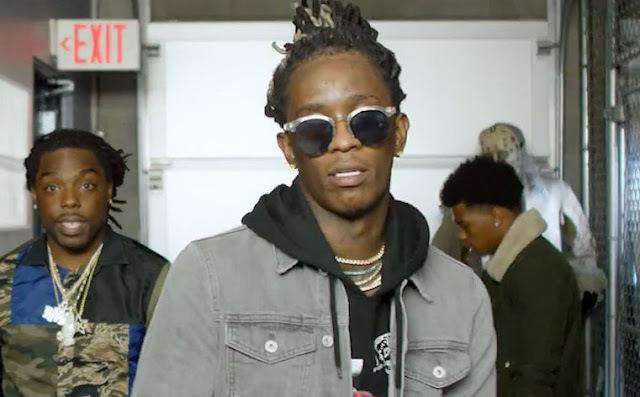 Since his hogwash reputation on Lil Wayne after the Young Money Boss Drop his Carter V album, Thugger release a new song following his Instagram album announcement. Well is kind of a competing with the similar name on album as Thug announced his new project called Barter 7. Carter V vz Barter 7. Is not really a race owning to the anticipating album from Lil Wayne with finally debut on September 27 after his consensus with Birdman. Young Thug is a bit far from Wayne meanwhile their back and front feud is like Clash of the Titans and fans keep peek on upcoming album if it has something to don with Weezy. A song has surfaced online with the Name On The Run which we have subjected to be one of the track making up Barter 7 album. The Song come as Atlanta to Atlanta where we also see one of the Migos MC rapper Offset as guest artist on the new single with Thugger. Listen below and share.